For the final 12 days of 2008, UNICEF's celebrity ambassadors and supporters have been blogging on their site about the impact UNICEF Inspired Gifts are having on children around the world. 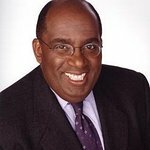 “Thanks to lifesaving vaccines, measles is mostly history in our country,” wrote Al Roker. "But in working with UNICEF, I was shocked to learn that this terrible disease still affects hundreds of thousands of children every year. In fact, it steals the future of 540 children around the world every day. UNICEF Ambassador Lucy Liu, who was recently honored with the prestigious Danny Kaye Humanitarian Award in recognition of her tireless work on behalf of the world’s most vulnerable children, also took part. “Of the 25,000 children who die every day from preventable causes, many of those children lack the most basic nourishment needed to survive,” she wrote. "On my recent trip to the Democratic Republic of Congo, I witnessed firsthand how something so simple could save so many lives. “High-energy/protein biscuits (a kind of nutritious “cookies”) were specially developed to help children in emergency situations and are crucial to their survival. For only $40.26 you can purchase two cartons of biscuits, full of the vitamins and micronutrients needed to improve children’s health and prevent them from developing severe malnutrition, which can be deadly." Tea Leoni – a board member of the US Fund for Unicef – had this to say: "A mother will always do whatever it takes to protect her child from danger. And no mother would intentionally put her child in harms way. Yet every minute of every day, somewhere in the world, a child dies of AIDS-related causes and another child becomes infected with HIV—usually contracted during pregnancy, labor or delivery. Other stars to blog on the UNICEF site include Benji Madden and Joel Madden from Good Charlotte, Nicole Richie, Mia Farrow, Ne-Yo, Marcus Samuelsson, and Alyssa Milano. The full celebrity blogs can be read here.